While 3 days of the freshest and most nutritious cold pressed juices will do wonders for your health, it is equally important to prepare for optimal results. Yes, this is a one way to of love your body so it will love you back and reward you with moving toward your health goals. Some people experience detox symptoms including headaches, lethargy and upset stomach. We suggest to prepare by starting an early cleanse for optimal results and so that there is less discomfort from the detoxing. To be successful at anything, preparation is key. 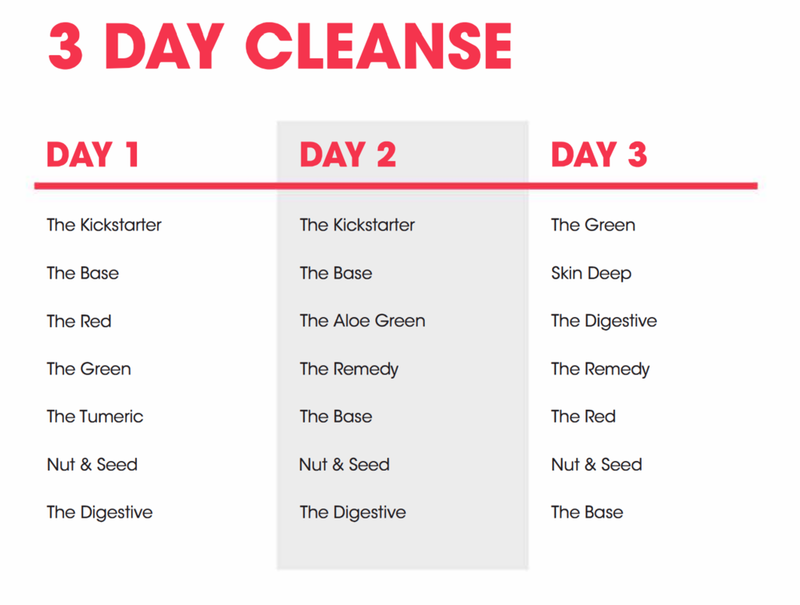 The reason you are doing this cleanse in the first place is most likely because you want to reach your health goals. It is best to get clear about what your vision is and commit to accomplishing it. 1) Get clear about your vision for this cleanse, write it down and keep it where you can see it often. 2) At least two days before you actually start the cleanse, it is wise to start replacing foods, drinks and lifestyle choices that don’t serve your health with ones that do. This eases your body into a 3-day juice cleanse gently so that you don’t shock yourself with some possible uncomfortable cleanse symptoms. We will invite the 3 day juice cleanse to begin next Thursday, March 15th and end it on Saturday, March 17th.